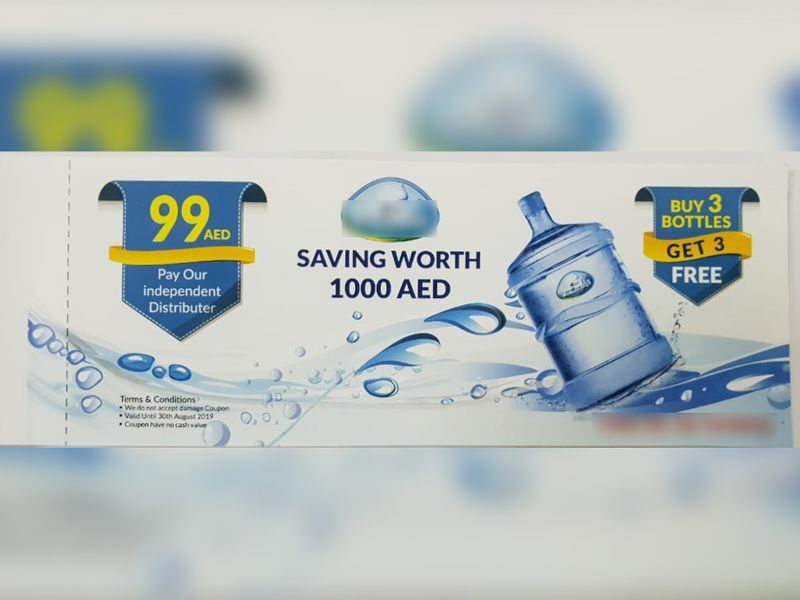 Sharjah: On January 20, at around 6.30pm, a well-dressed person came to my apartment to sell a coupon booklet, claiming that he was from the “Masafi water company”. I live in a highrise building in Al Qassimiya area of Sharjah, with my family. The booklet cost was Dh99 and I bought one, as I am a frequent user of Masafi, and this seemed like a good price for 18 coupons for 5 gallon water bottles. 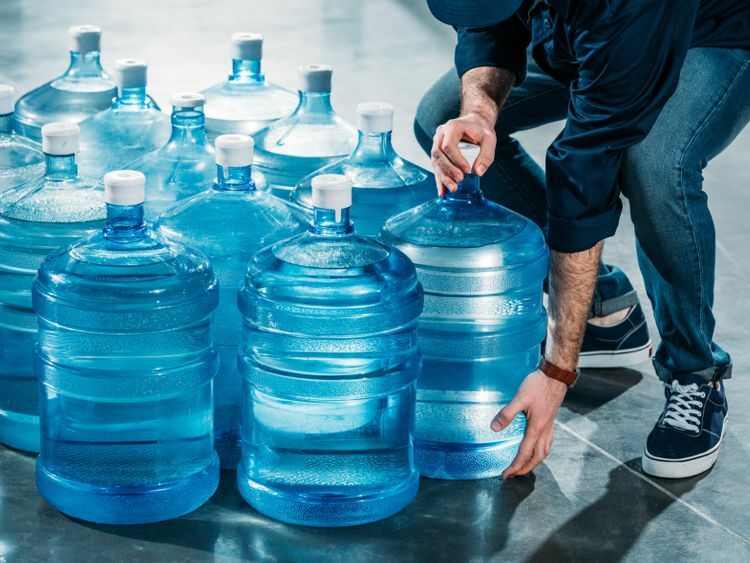 He told us that water would be delivered on Mondays and Fridays. After he left, I noticed that the name of the water printed was ‘Mai Al Maasafi’ and the contact number in the coupon was not operational. Immediately, I ran out of my apartment and looked for him around our building but failed to locate the person. When I checked with the watchman, he said that he had seen the person taking the elevator to other floors in the building. Now, a week has passed and there is no information about him or the water, and the contact number is still not operational. This is a clear act of fraud, and I want to alert the public so that someone else does not fall victim to this scam. The branding on the booklet looks similar to Masafi and the person was quite believable as well. However, I would request other Gulf News readers to always look carefully at the booklet before paying the money. Also, verify the telephone number of the company while their representative is still there. - The reader is a human resources officer based in Sharjah. It is important for residents to communicate with the Department in case they face any case of commercial fraud. It is also necessary to keep a bill after purchasing, which is a reference to the consumer and a guarantor of their rights, if they wish to file a complaint. Besides, SEDD offers several channels to receive complaints - the call center at 80080000 or through the consumer protection website www.shjconsumer.ae. Similarly, they can place the complaints through SEDD smart applications. ‘Mai al Maasafi’ is not under Masafi Company Llc. We have received one or two complaints regarding the same matter and customers were informed that ‘Mai al Maasafi’ is not under Masafi and that they need to contact the said company directly. For any enquiries, customers can contact us from Saturday to Thursday between 8am–7pm on customersupport@masafi.com or through our hotline 600 525256.